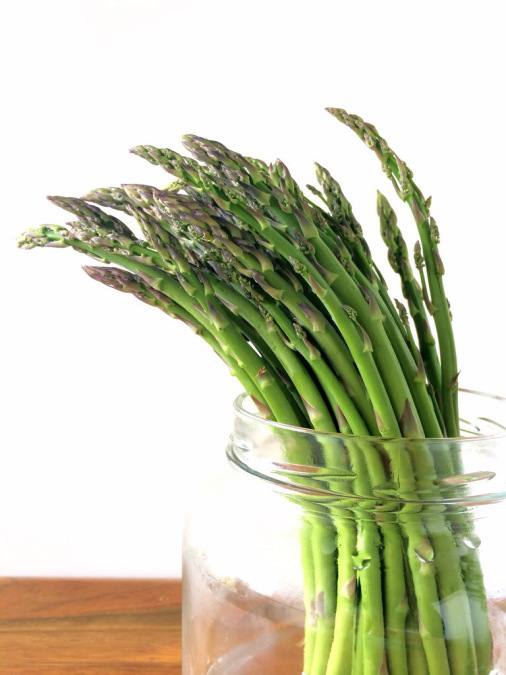 Summer is nearing and we need to make room for the hot-weather veg about to grace our tables. 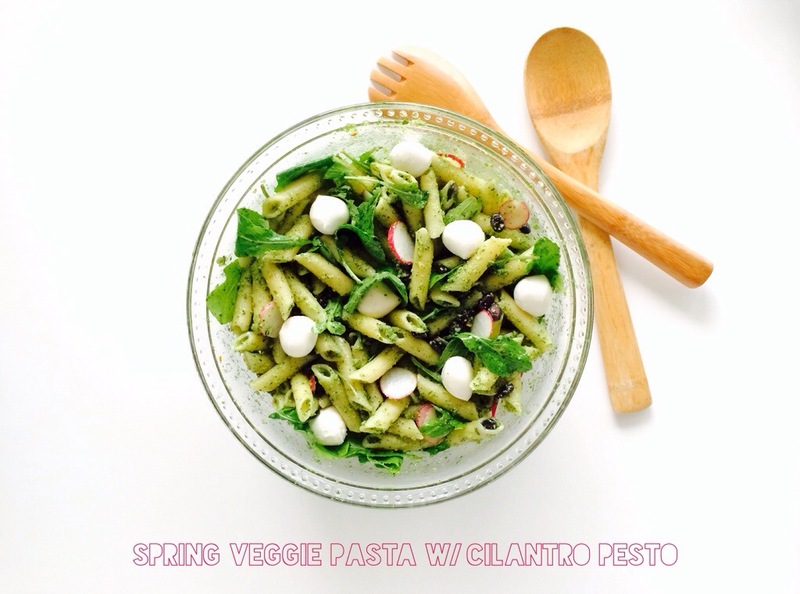 This is a fantastic way to use up any spring veggies you have on hand. 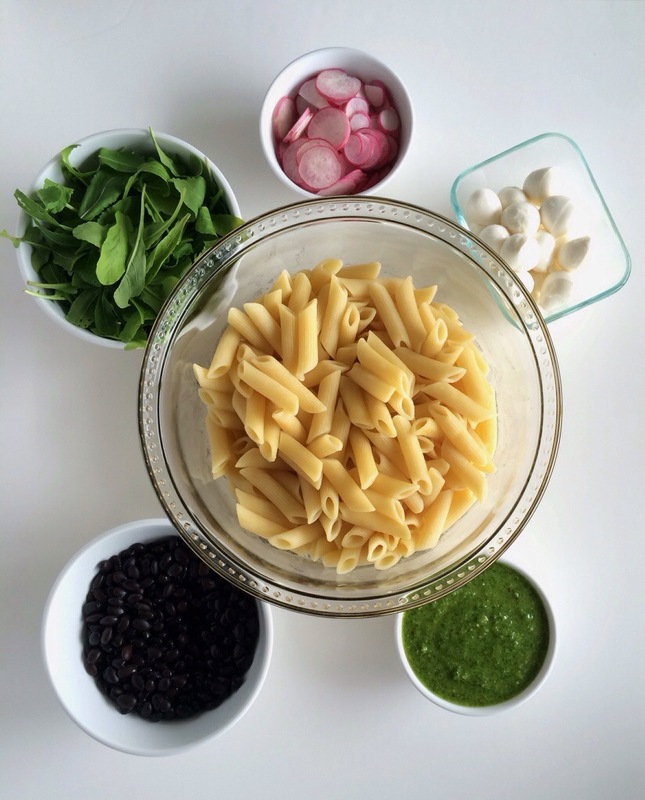 This pasta takes advantage of the spicier spring produce available: peppery arugula and piquant radishes. 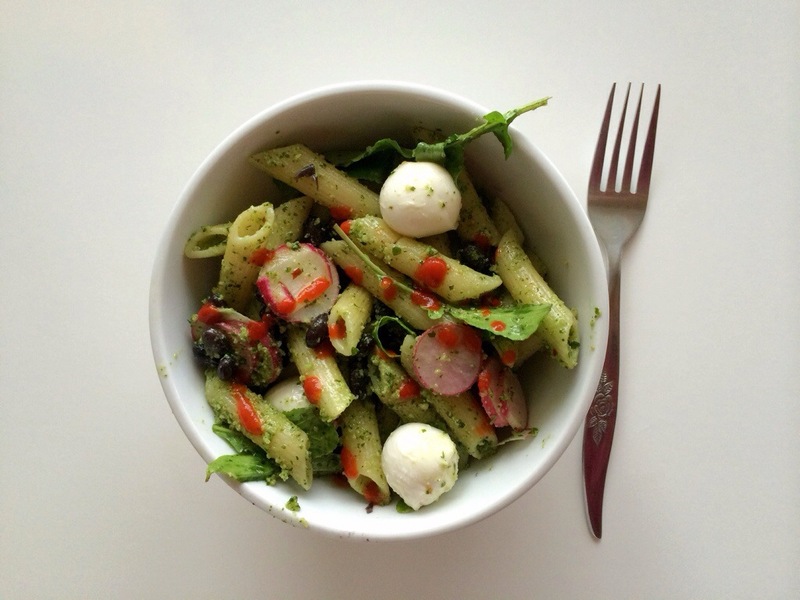 The cilantro pesto — made with garlic scapes, toasted almonds, red pepper flakes, lime juice and avocado oil — compliments those flavors and steers us in the direction of the Southwest. Fiber-rich black beans and fresh, milky mozzarella round out the dish for a hearty, healthy meal. To add an additional kick of spice and flavor, drizzle on some sriracha! Let’s get the party started! 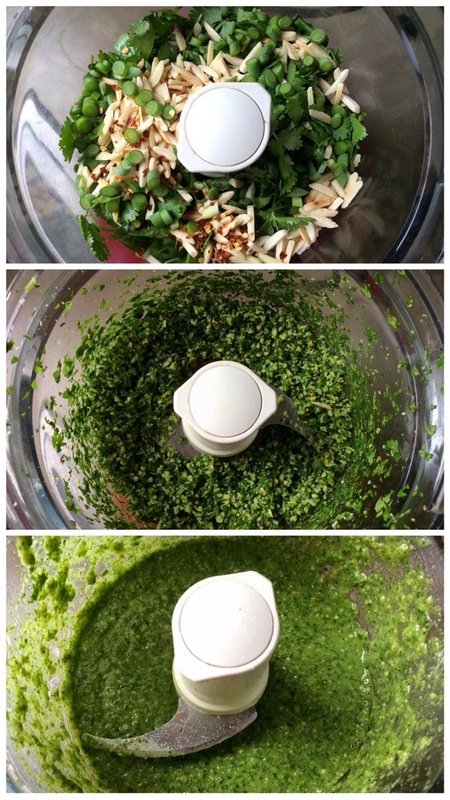 Add the cilantro, almonds, garlic scape or clove, and red pepper flakes to the bowl of a food processor and pulse until finely chopped (about 4 or 5 pulses). Add lime juice, salt and pepper and pulse again once or twice until combined. Scrape down the sides of the bowl. Put the lid back on and with the processor running stream in the avocado oil through the feed tube. Taste and season with salt and pepper if needed. You should end up with about 1 cup. 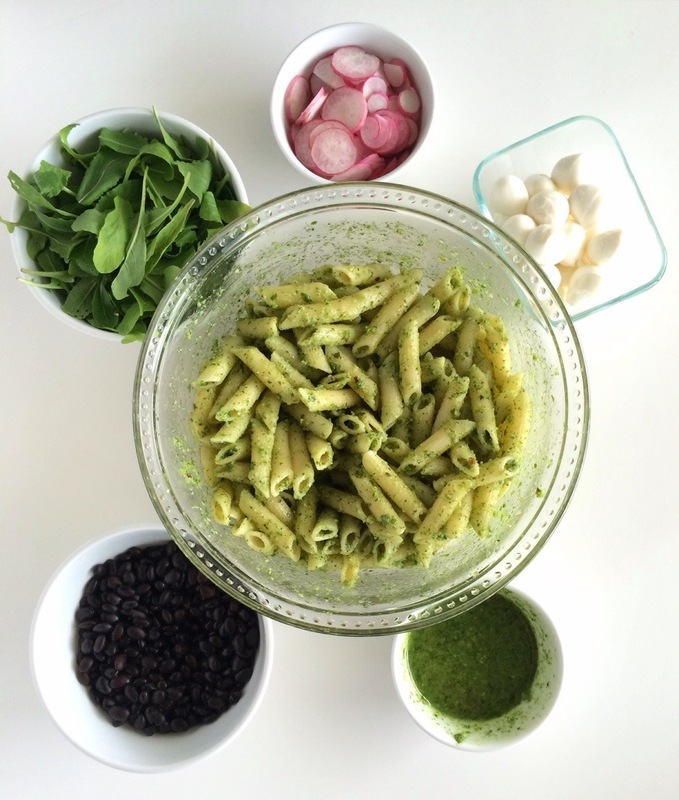 In a large bowl, add the cooked pasta and 2/3 of the cilantro pesto; toss until pasta is well-coated. 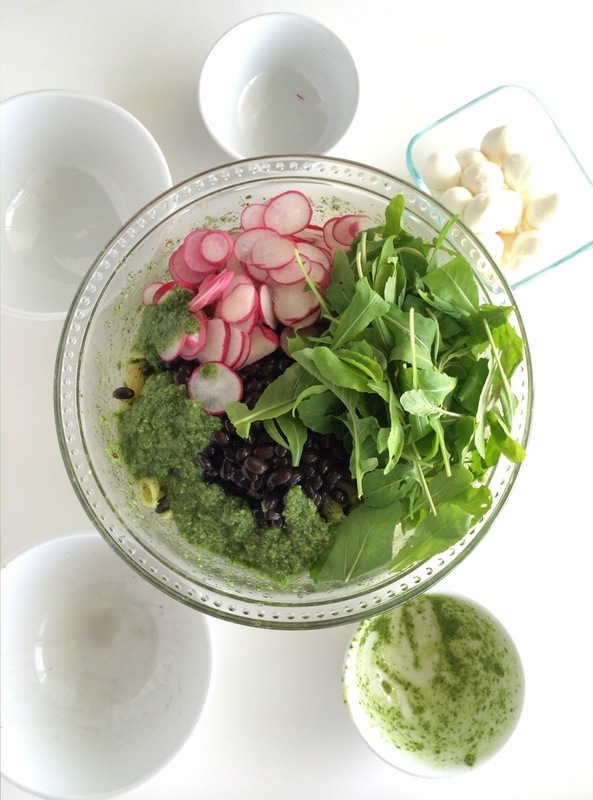 Add the radishes, black beans, arugula and remaining pesto; toss to combine. 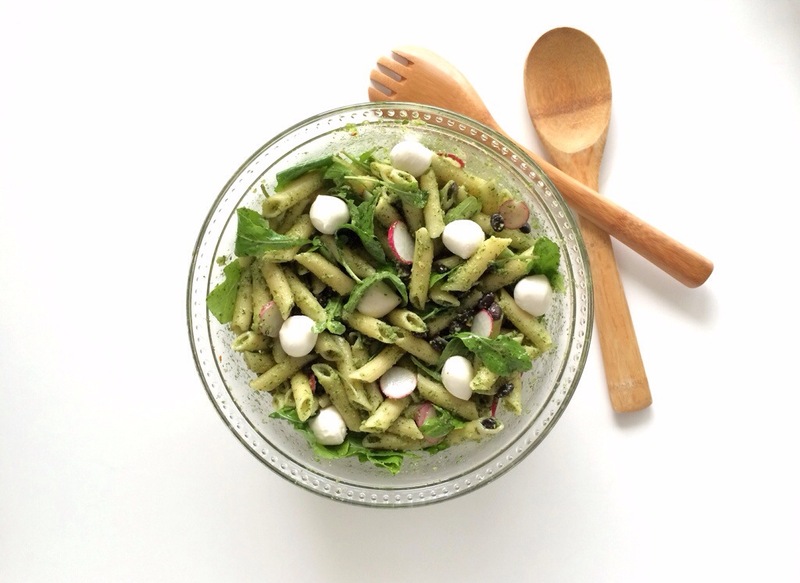 Add mozzarella if using. Serve with sriracha. Enjoy!